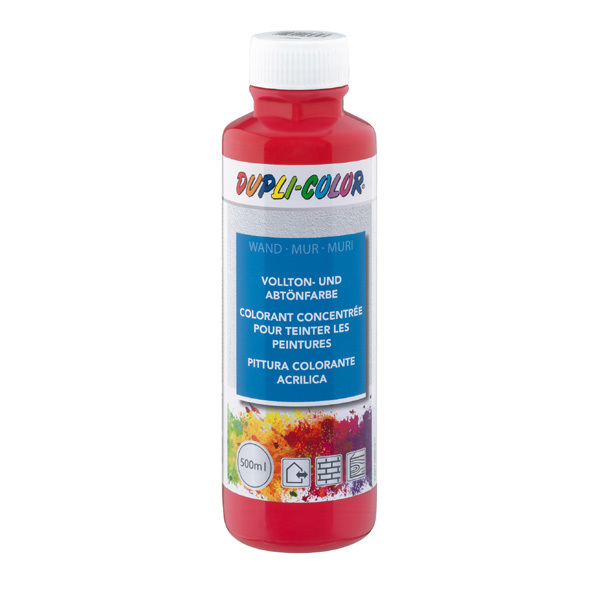 DUPLI-COLOR Acrylic Mixing Colour, solvent-free: the coloured dispersion paint for the direct paint or to tint inside and outside colours as well as plastering. Uses are all dispersion paints for inside and outside use. The colours yellow, pure orange, wine red or poppy-red are for outside only as full-tone suitable. For individual design, in living spaces and business premises, colourful working after the priming with white dispersion paint. Possible grounds: masonry, plaster and concrete, wall papers, wood, dispersion paintings. 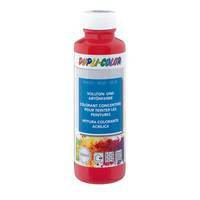 The colour is if used as spot colour ready-to-use and has only to shaked carefully. In case of use as tinter, the basic product has to be stirred up carefully. In order to avoid visible transitions, start at the windows. This paint can be re-coated after 4-5 hours. If ready, clean the tools with warm water.